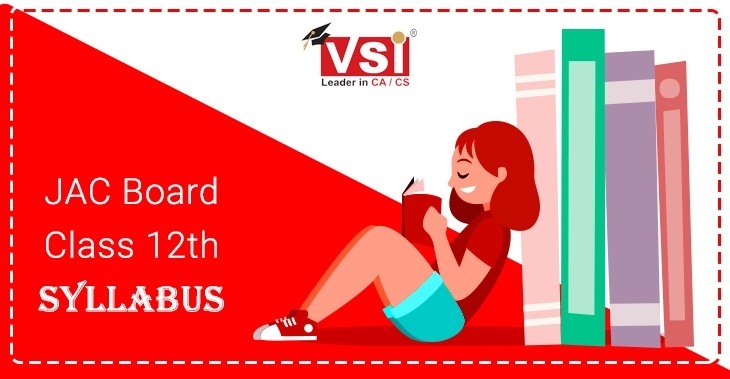 Students studying in class 12th looking for the JAC 12th Syllabus can download the latest syllabus from this page. To obtain good marks in board exams student must study according to the syllabus prescribed by the Jharkhand board. Before starting with preparation it is necessary to have a thorough knowledge of the syllabus of each and every subject. For the ease and convenience of students, we have provided the syllabus in pdf format which can be downloaded for future use. We have also mentioned the procedure to download the syllabus from the official site of Jharkhand board. Jharkhand Board know as Jharkhand Academic Council (JAC) is a body established for conducting examinations for Higher Secondary, secondary, and Madrasa education. The examination for class 12th is conducted by Jharkhand Board every year in the month of March. Try to cover the syllabus well on time. And to complete the syllabus it is important to have a detail study plan. It is better to adopt regular study habit for timely completion of the course and effective results. Do not forget to revise what you studied on the same day for effective retentivity. Practice enough questions which involve calculation for accuracy and maintenance of speed. While studying do not forget to make notes comprising important keywords for better revision during the exam time. Practice enough previous year question papers (at least past 10-year question papers) for a better idea of the types of questions being asked in the examination, you will also get to know how many questions get repeated in the examination, hence you can prepare those questions effectively. Once the examinations of class 12th boards are over students start searching for their class 12th result. Jharkhand board releases the JAC class 12th result in the month of June. The result will get announced on the official website of Jharkhand board, students can check their results by entering the required details, after which they will get their result for download.